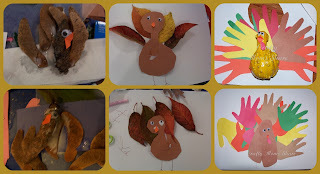 Ok, before we start I have an amazing giveaway going on from Melissa & Doug!! Please go enter and also check out the other Melissa & Doug giveaways at the blogs below the Rafflecopter! And I need your help on selecting a winner of the Best Halloween Costume Contest. Just go visit and click like on your favorite(s)! Once again I was blown away by the creativity shared last week. If you have not had a chance to check it out, go do so (and show some blog love with a comment). Our Most Clicked was from Wesens-Art again! 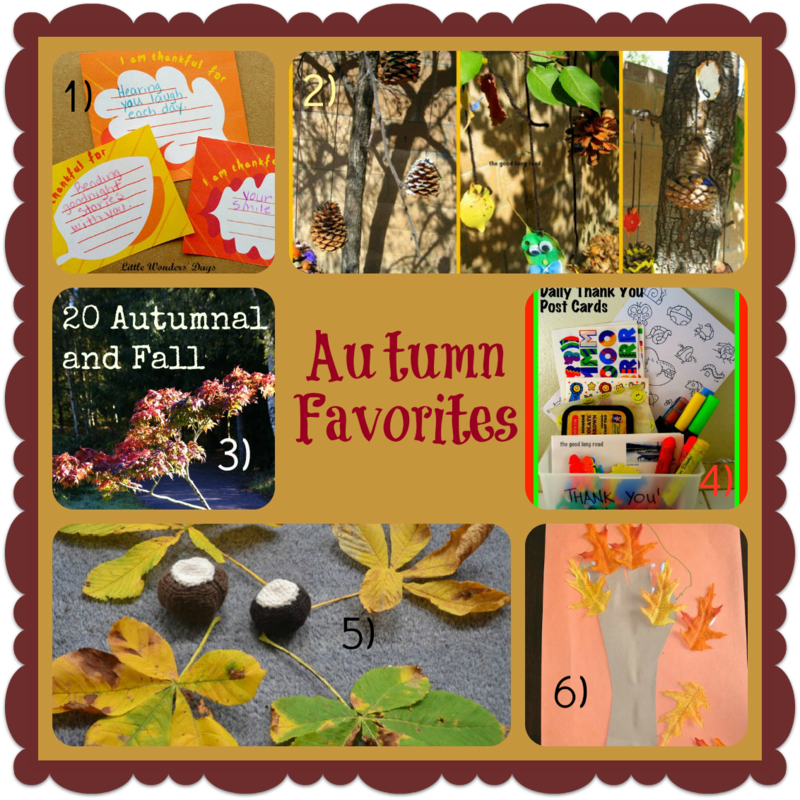 For my favorites this week, I have two categories: Fall/Thanksgiving Related Favorites and Personal or Must-See Favorites and Resources. 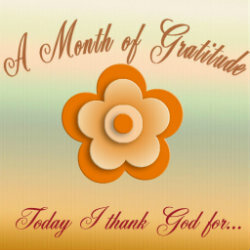 Today I thank God for love and light! 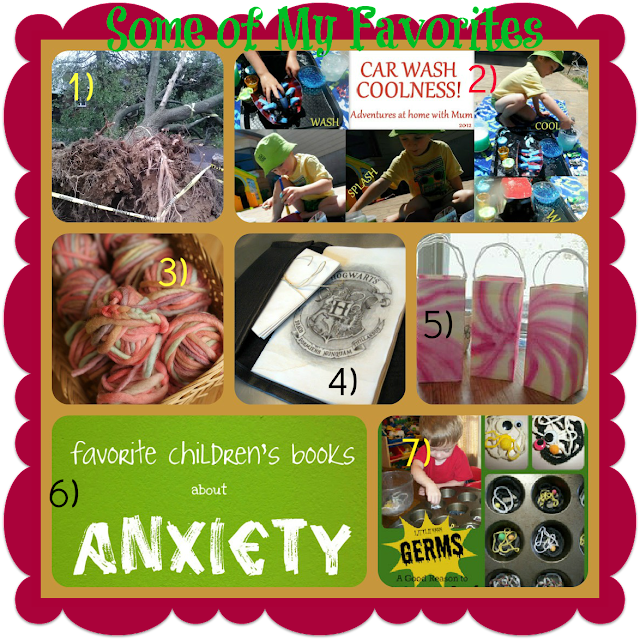 Thanks for featuring my post on my favorite children's books about anxiety. I love coming to see all the great ideas you have featured each week! Thanks for featuring our Yarn Germs. Also, thanks for hosting a great party. I am now co-hosting the Wednesday Mom's Library Link-Up and know how much work it can be. Although I enjoy it gobs!! Thanks so much for featuring two of my activities. I really enjoy sharing here and am honored to be featured! Thank you for featuring me again!!! And thanks for hosting this great party! found your throught the linky tools directory. Thanks for hosting the hop. Lots of great ideas here.